Before I get to this DIY project, let me tell you a story about a camping trip and a roll down a hill. The trip began as a Boy Scout adventure to Yellowstone National Park. After we spent several days exploring different areas of the National Park, we moved on to a Boy Scout camp. As part of our experience, we took a two day hike up a mountain. Boy was it beautiful until………..I rolled down the hill. Not just down the hill but almost off the hill. As luck would have it, I had just unhooked my water bottle from my pack to take a drink and then I lost it. The tumble down the hill caused my water bottle to go rolling down the side of the mountain into the wilderness. What to do, what to do? I really needed something by which I could use to drink from and this is where duck tape comes into play. Believe it or not, duct tape can be used to create a bowl. Yes, I said a bowl. The directions below will guide you through the steps but keep in mind if you want to keep the hair on your legs, wear pants during this process. To make a survival bowl with duct tape starts off with you sitting down. The reason for this is the mold for your bowl is going to be your knee. Once you are comfortable, the next step is to bend your leg so that your knee is near your chest. Next, unroll 18 inches of the duck tape and center the sticky side of the duck tape over your knee. Take one end and press it down along your shin. Take the other end and stick it to the lower part of your thigh. Now push down on the tape so that it is sticking to your leg. Repeat this step with another piece of duct tape going in the opposite direction. Continue with this process until the whole area is covered. 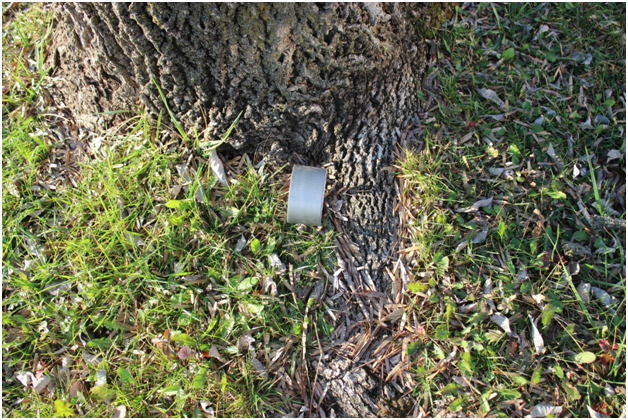 When doing this, make sure there are no open spaces and that the layers of duct tape are sealed to each other. After your bowl is completed on your knee, the next step is to remove it from you knee and repeat the same process from the inside. 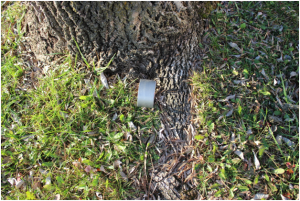 While this may seem like a lot of duct tape, it is but when you are in a pinch it is worth it. Once your duct tape bowl is complete, it is ready for a nice cold drink of water.